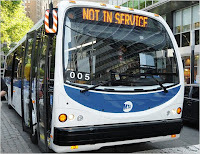 New York goes Hybrid – Where are we? What a wonderful day it has been; I have drawn a demand draft from the bank; I got attestation for my passport size photograph; I took photocopies of the application; And finally applied for my examinations commencing for my 2nd year MBA course. Every thing happened in such an amazing efficiency that I feel so much impressed of myself. It is a normal Saturday for me. But it is very exciting one for my friend. Because he is going to buy a new computer. It is not for him though. It is for his sister. What a wonderful day it is! We are completely unaware that in an hour we are going to be in a big shock that we lost money drawn from the atm for the purchase.